The upcoming Jeep Compass Trailhawk will launch by July in India. Several Jeep dealers across the nation have started taking the booking for the upcoming model. Apart from off-road worthy changes, the Trailhawk will bring in the 9-speed automatic gearbox. 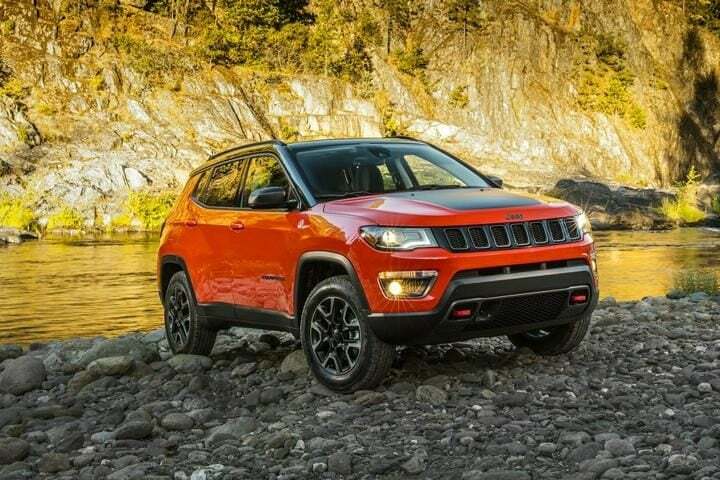 The American automaker Jeep started its India operations recently with the Compass being their first locally manufactured model. The Compass is one of the most loved SUV in its segment. The upcoming Jeep Compass Trailhawk edition will bring in the off-road worthiness Jeep vehicles are known for. While being considerably expensive than the outgoing model, Jeep officials sight a demand for it. If you ask me, the new Jeep Compass Trailhawk is the authentic Jeep experience and everyone waiting to get their Compass should wait and save a little more for the upcoming special edition. The soon to launch Jeep Compass Trailhawk will be offered with several visual and mechanical advantages over the standard Compass. Jeep dealers across India have started accepting the booking for the upcoming model. According to these dealers, the new edition will launch by late June or early July. Jeep Compass, despite its hefty price tag, is selling like hot cakes. Certain customers in Indbeyondk beyong the price tag and demand exceptionally well-built cars. This is one of the reasons why the Compass is successful in the nation. The upcoming Jeep Compass Trailhawk will redefine the Compass in its segment with several segment first features. Such features will command a premium price, up to INR 2.5 lakh over the top end trim, as per the dealership. The Jeep Compass Trailhawk is being manufactured in India for the last couple of months but was an export only product. Countries like Japan and Australia get the Jeep Compass Trailhawk from India. The changes in the Trailhawk edition will make it more off-road worthy. The upcoming special edition features Jeep’s Acive Drive Low-range four wheel drive. The Selec-Terrain 4WD system will include a new ‘Rock’ mode. Ground clearance will also be increased by 20 mm. The front and rear bumper will feature a different design to improve the approach and departure angle of the SUV. The Jeep Compass Trailhawk edition will also get hill descent control as standard. Apart from these, the upcoming Jeep Compass Trailhawk edition will carry different alloy wheels, dual-tone black and silver shade. Red recovery hooks, matte black anti-glare donnet decal, underbody skid plates for added protection and all-weather floor mats are the final changes the upcoming special edition will offer. While the upcoming Jeep Trailhawk will carry the same 2.0-liter diesel engine that makes a healthy 170 bhp. Instead of the manual transmission on the standard model, the upcoming special edition will offer a 9-speed automatic gearbox unit with the engine. The new gearbox will be manufactured locally in India to keep the prices in check. Despite the obvious improvement in performance, the 9-speed unit will also enchance the over mileage of the Compass. Stay tuned for more updates on upcoming Jeep SUV.